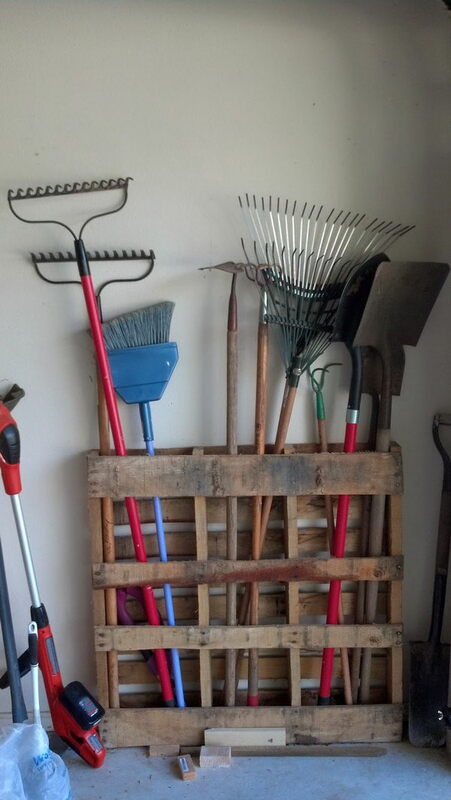 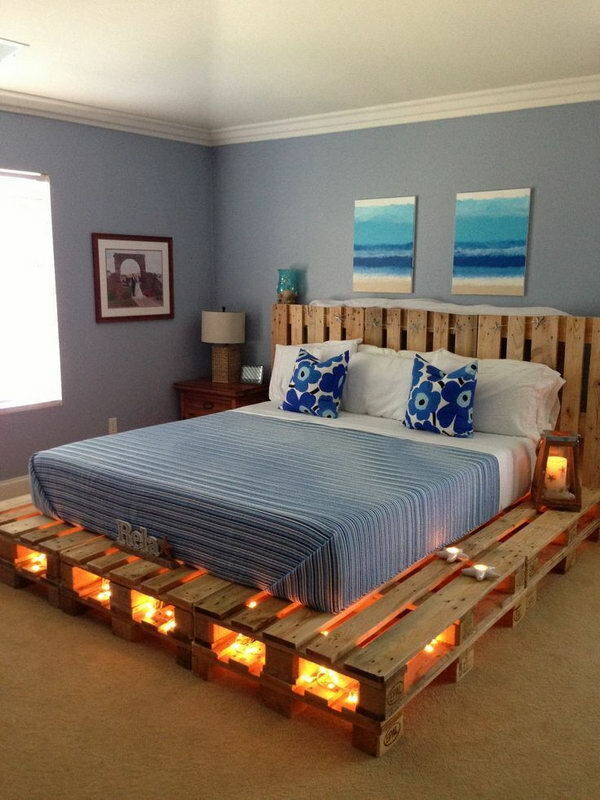 Wood pallets are easy to purchase at a low price. 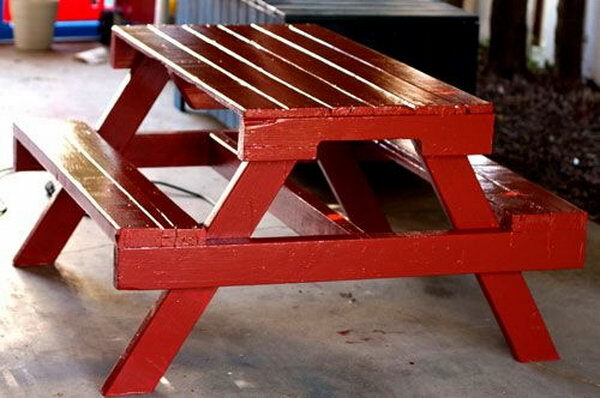 They are commonly used as a mechanism for shipping and storing larger items. 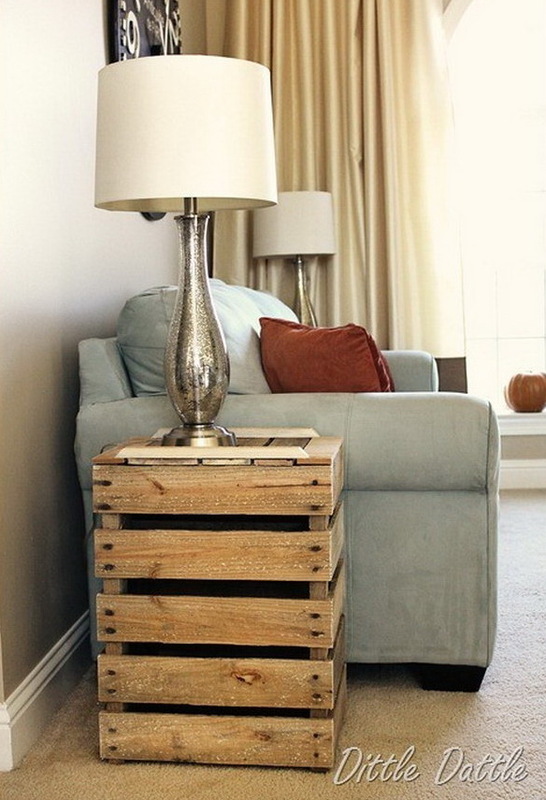 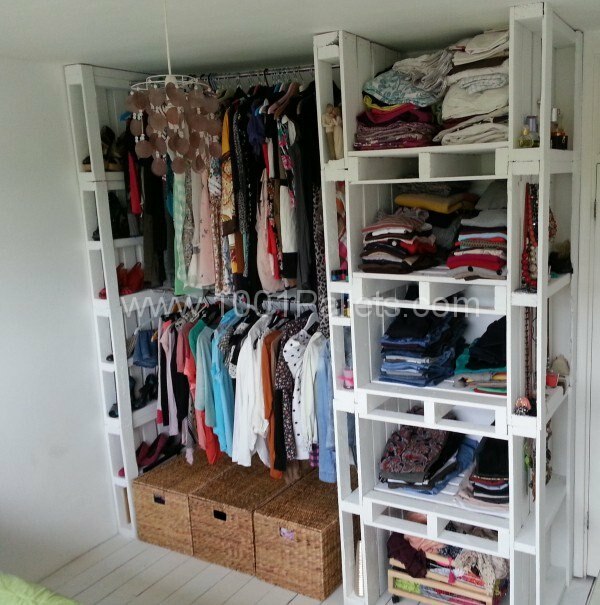 Wood pallets can be easily disassembled into wood planks that can be used for any size of furniture pieces. 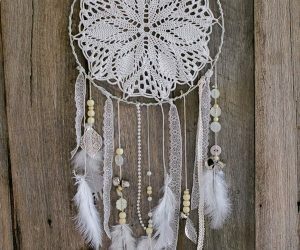 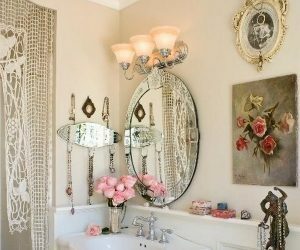 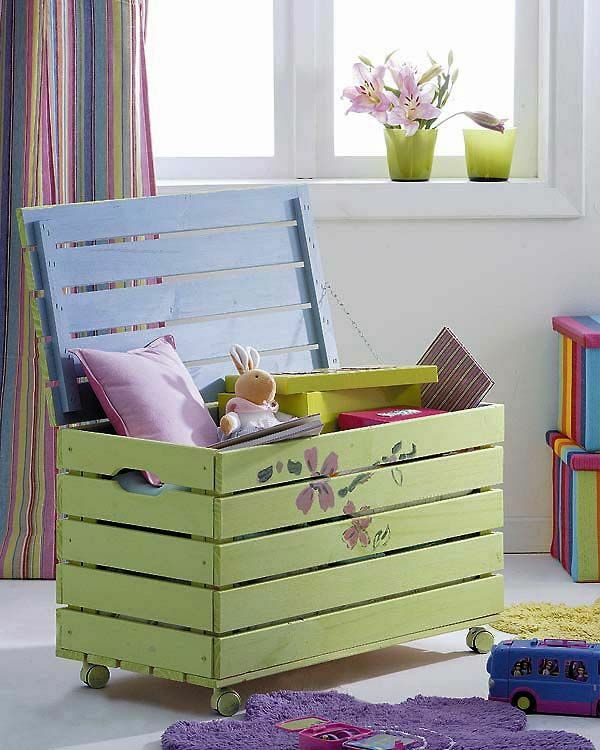 For the DIY lovers, they are good materials for many useful and fantastic projects from furniture to home decorations. 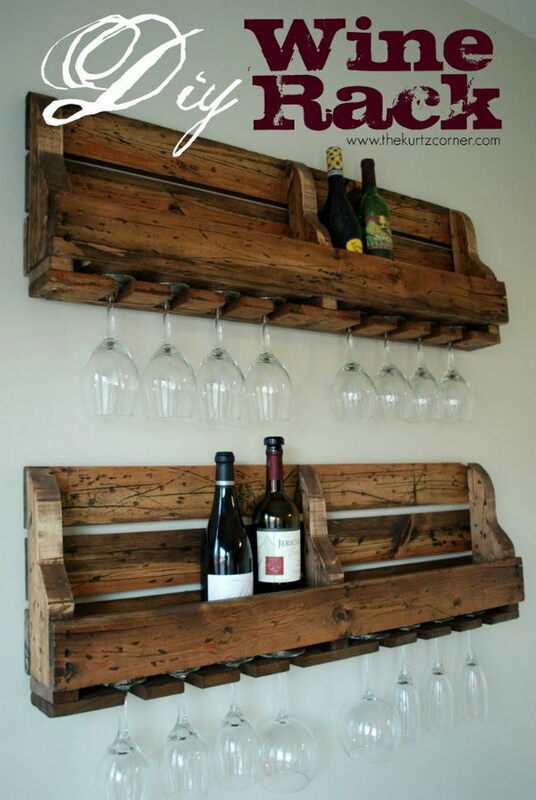 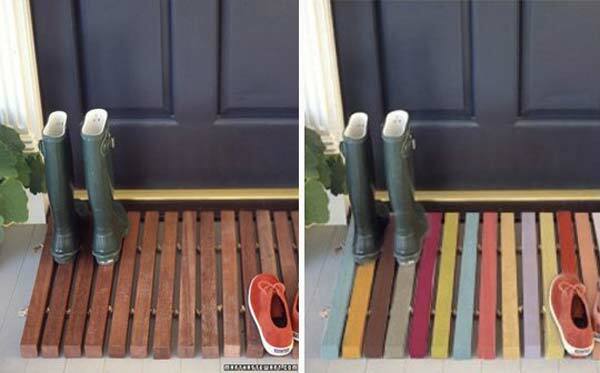 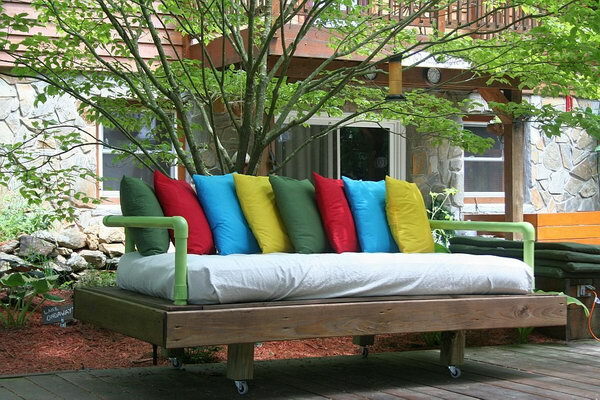 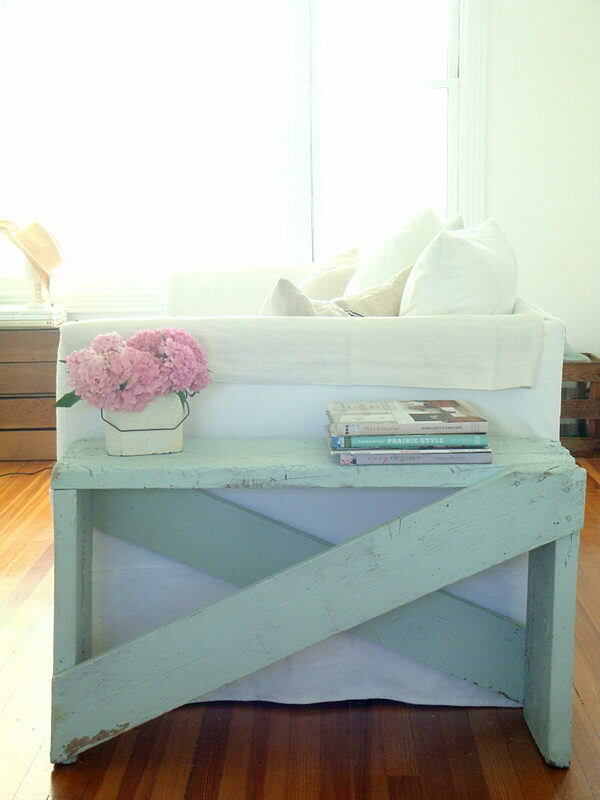 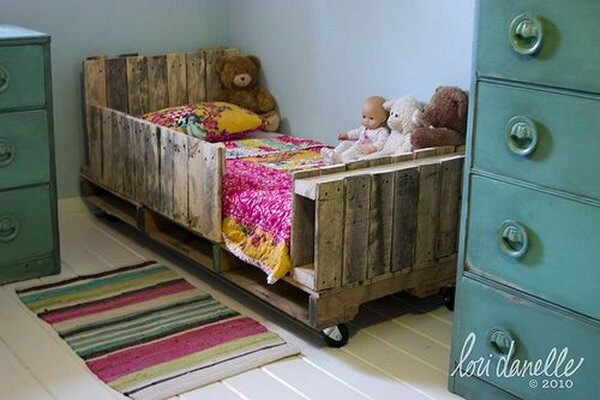 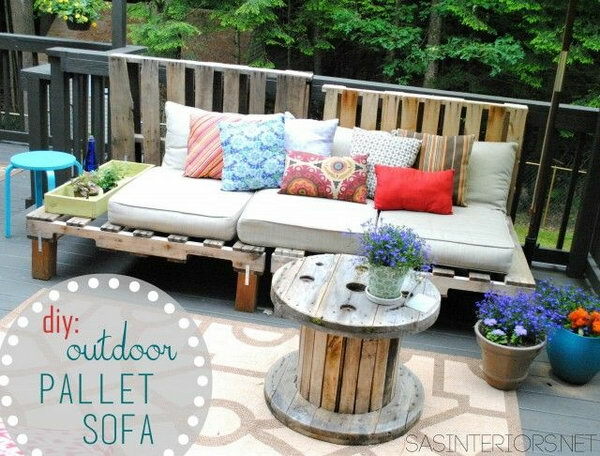 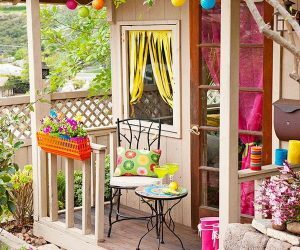 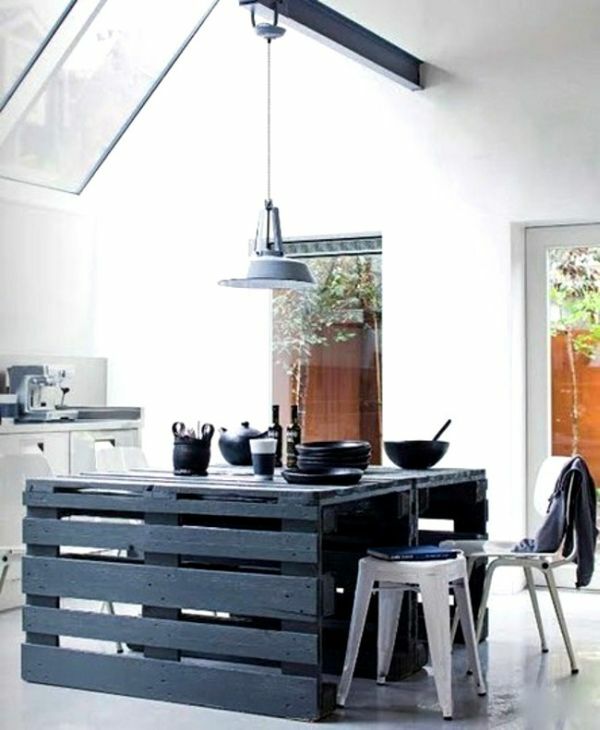 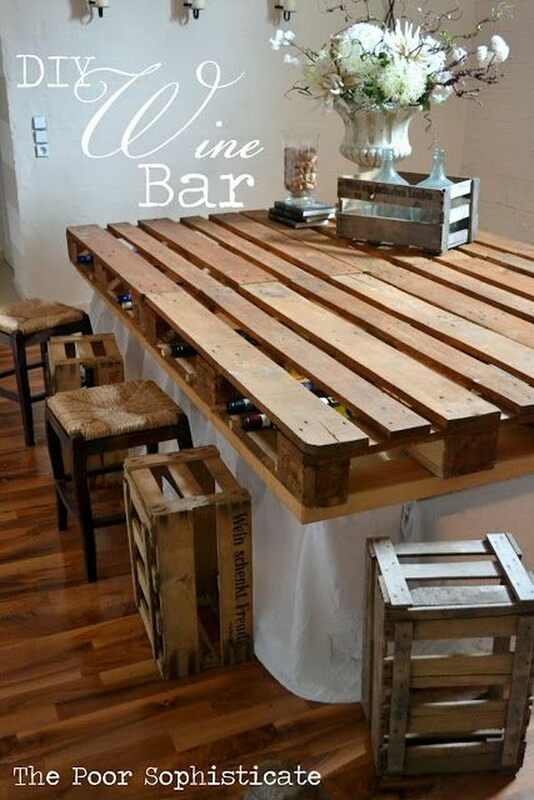 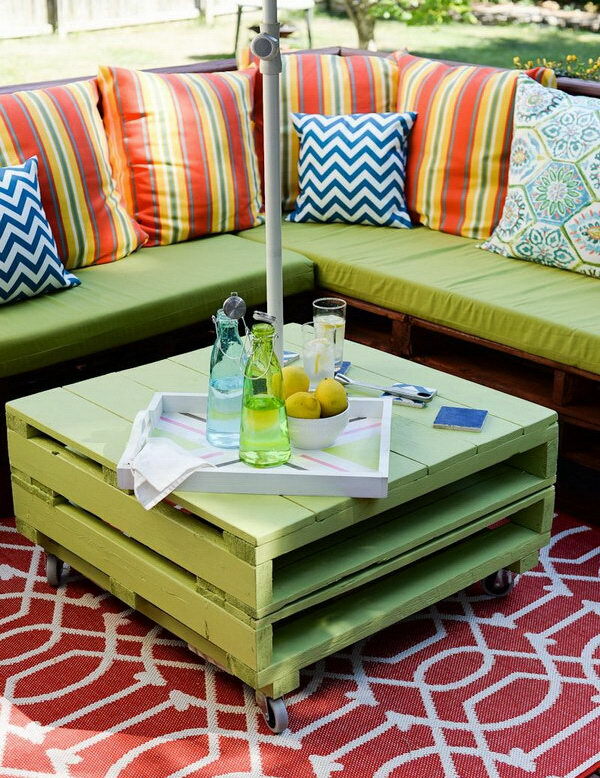 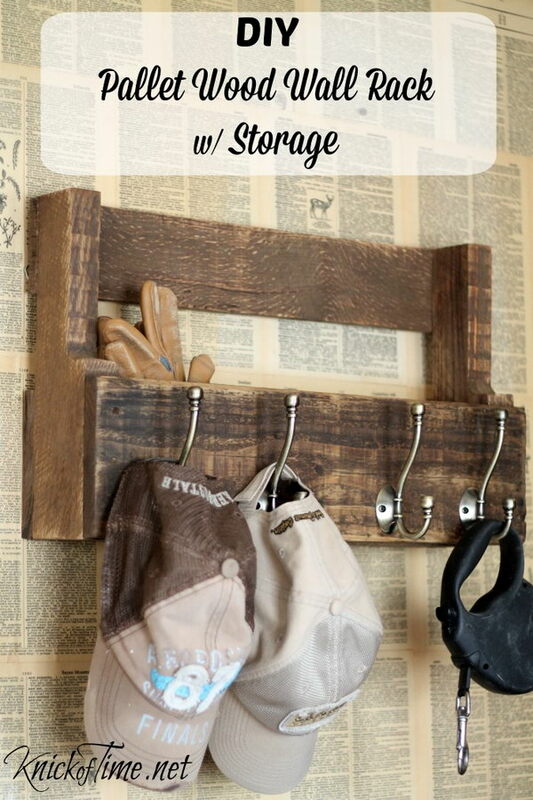 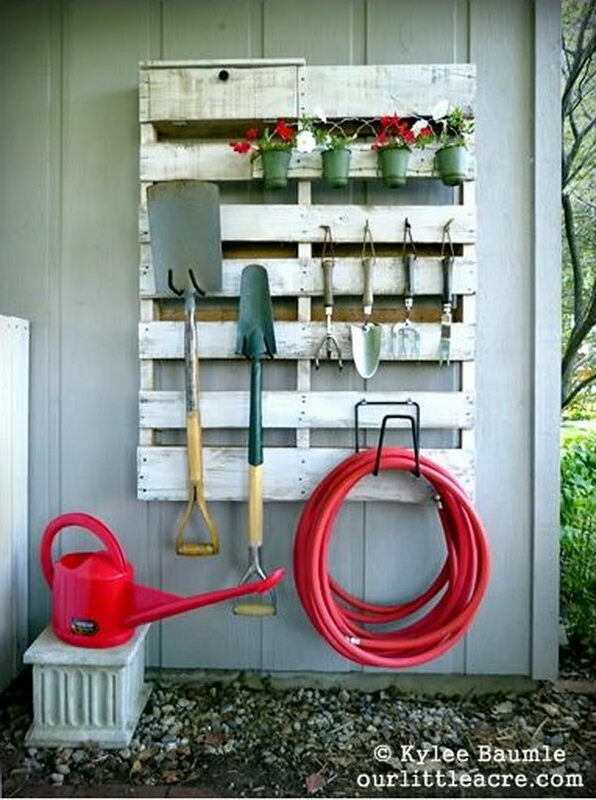 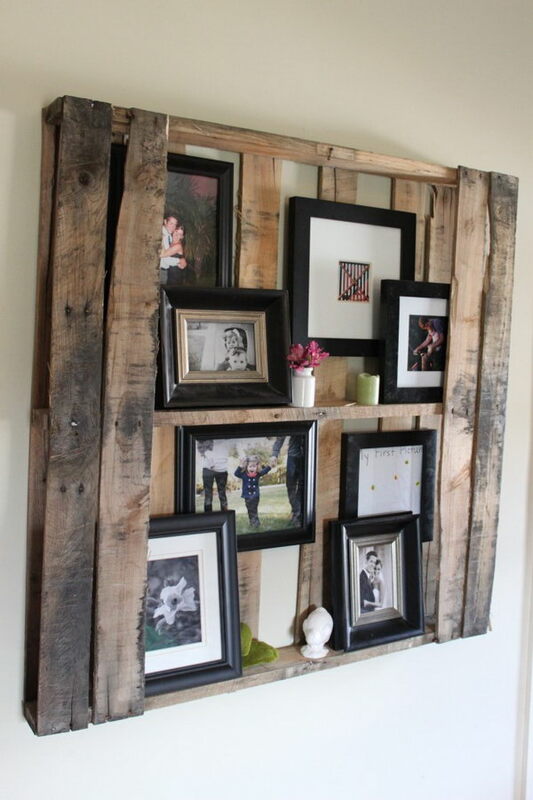 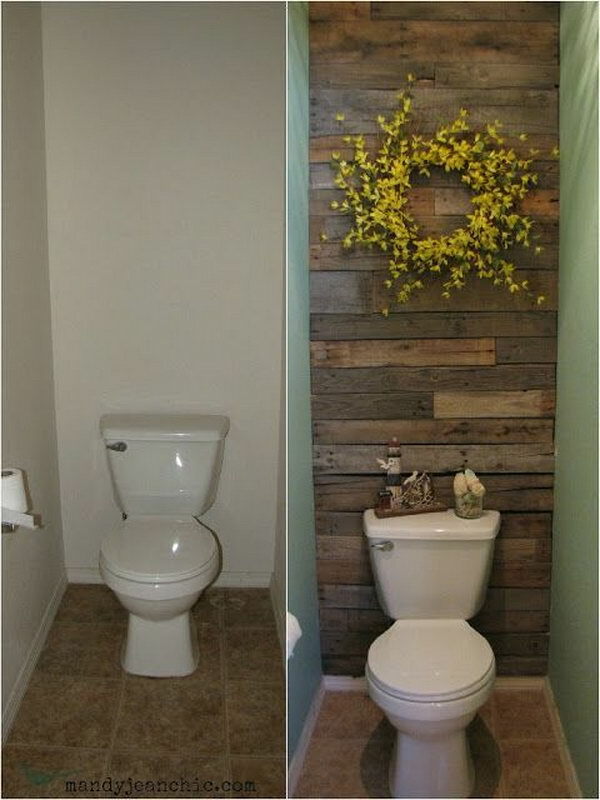 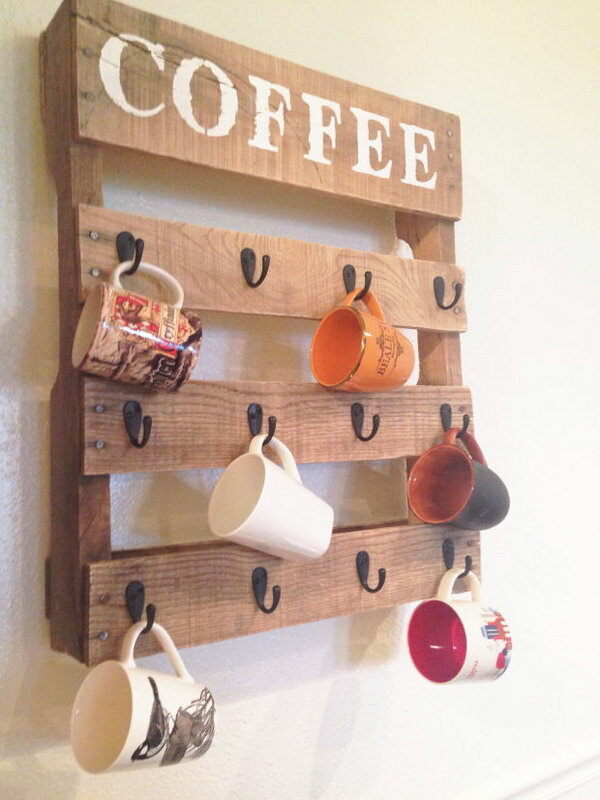 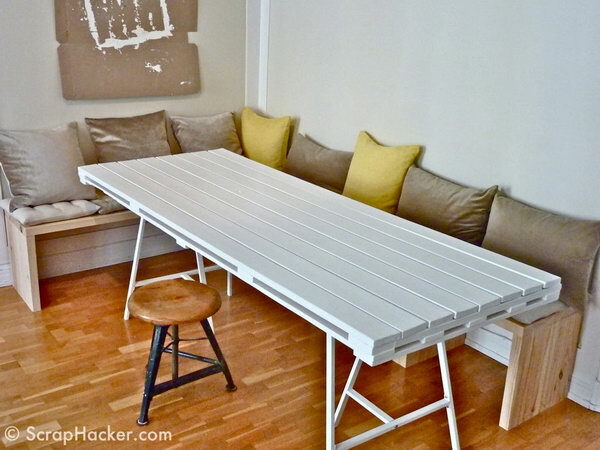 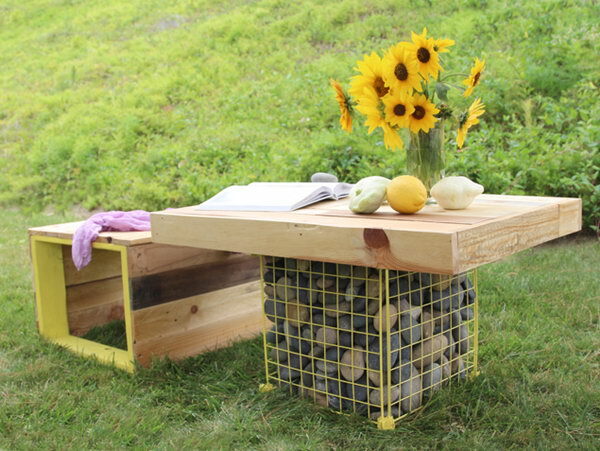 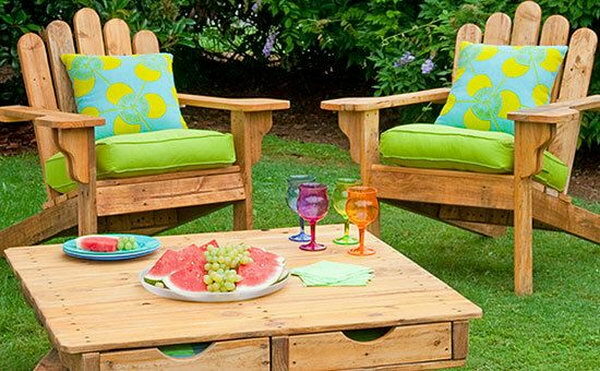 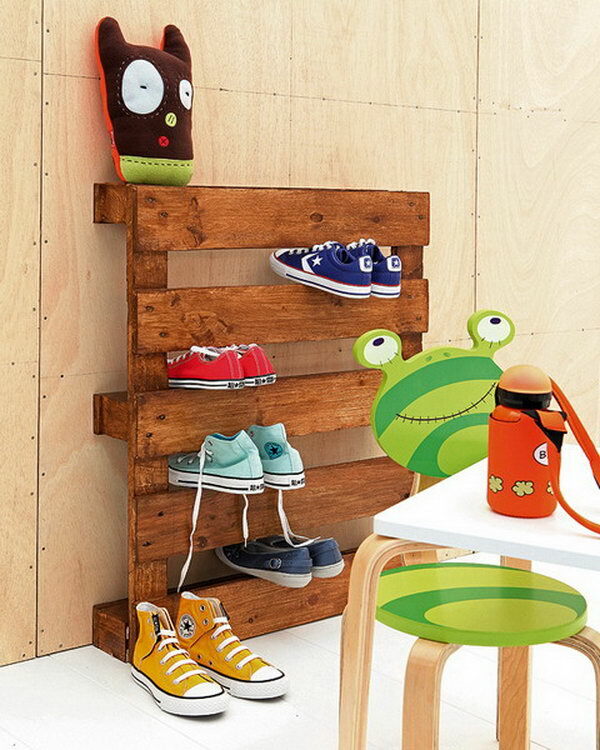 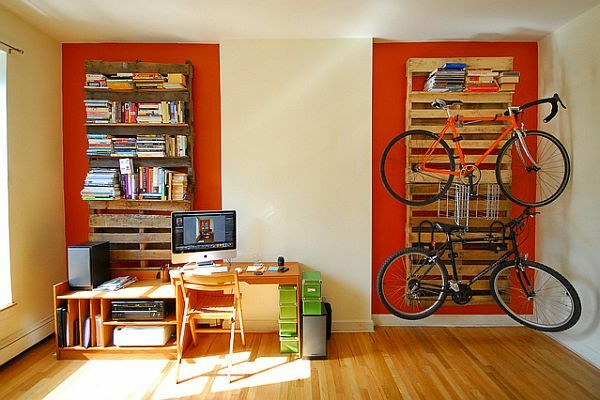 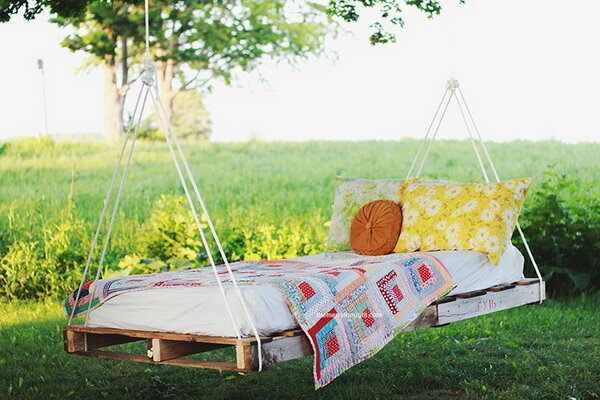 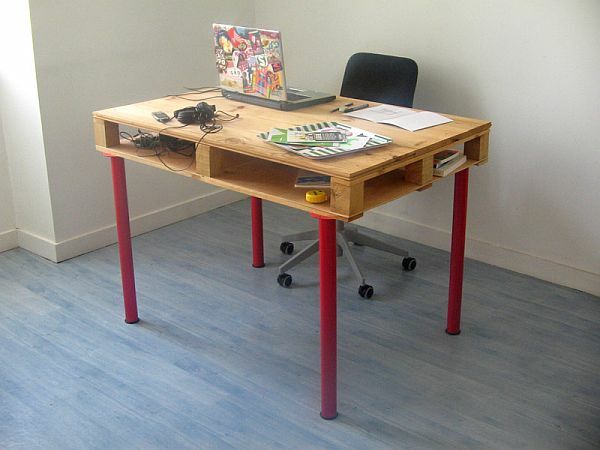 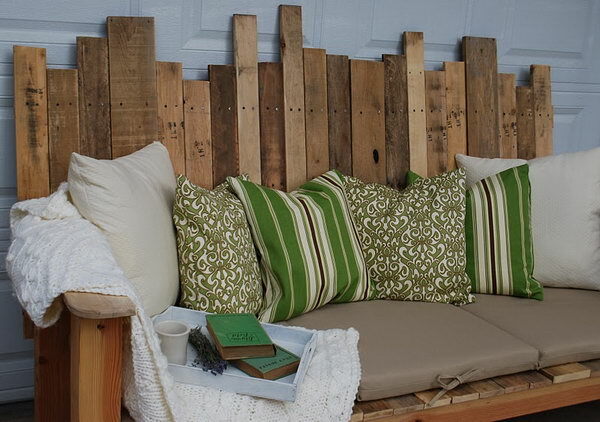 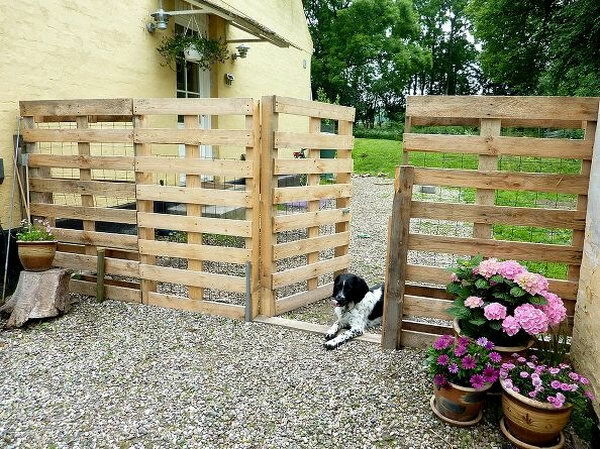 Below you can see a nice roundup of some creative DIY pallet furniture project ideas and tutorials. 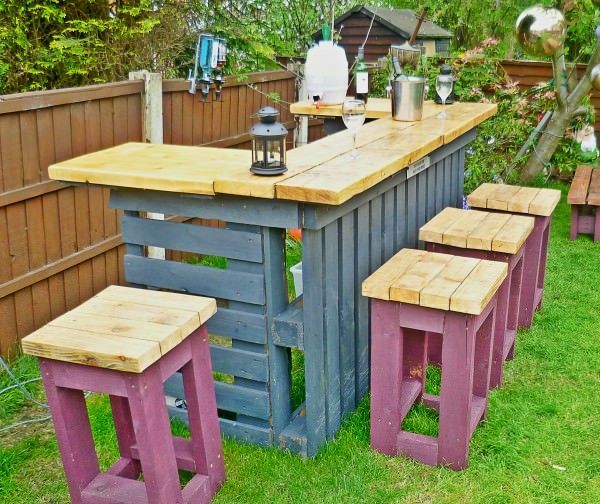 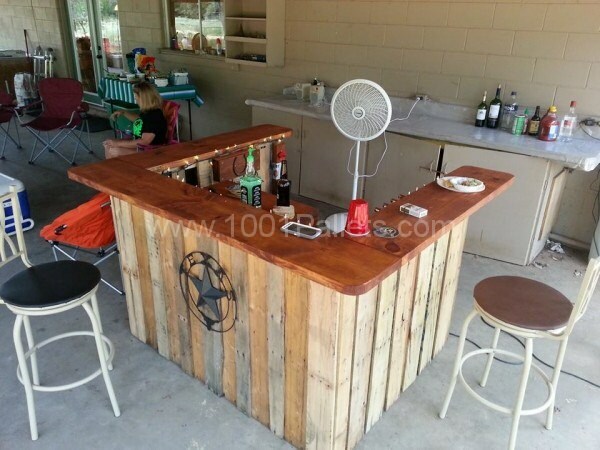 From tables, shelves, beds, dressers, chairs to outdoor bars and stools, genius craft lovers create so many unique furniture with a rustic look. 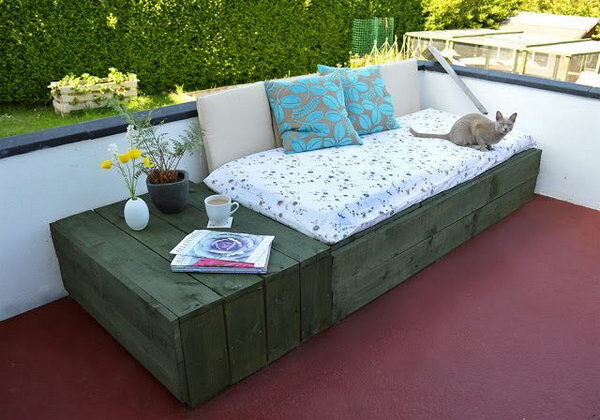 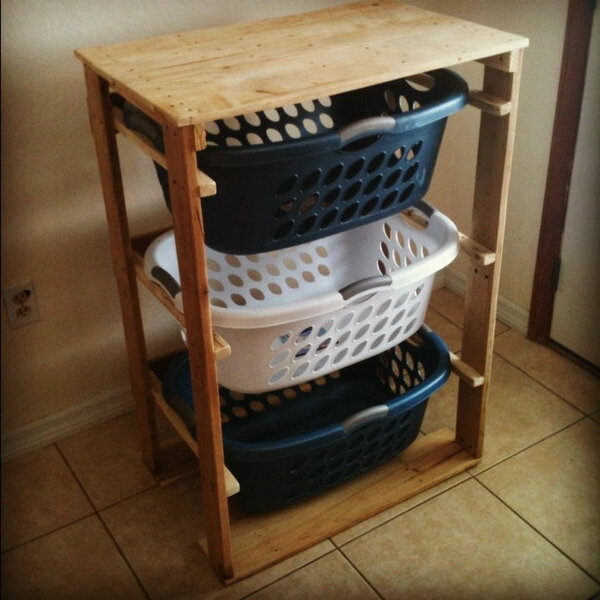 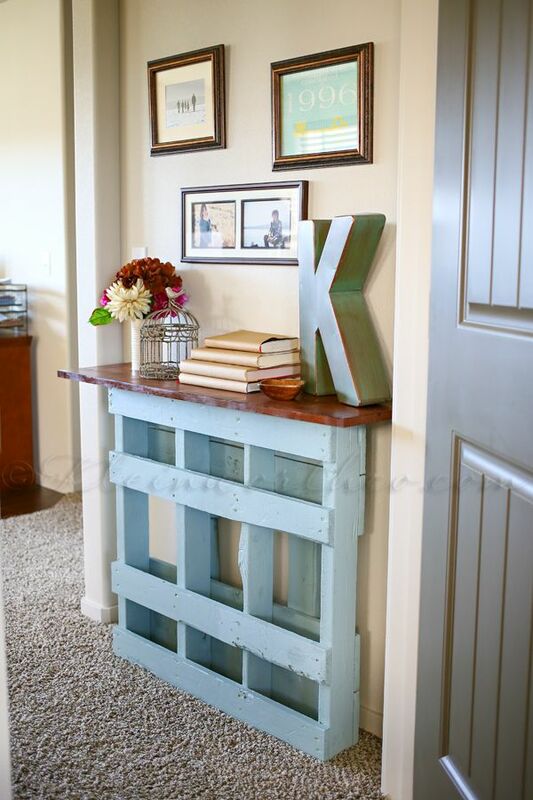 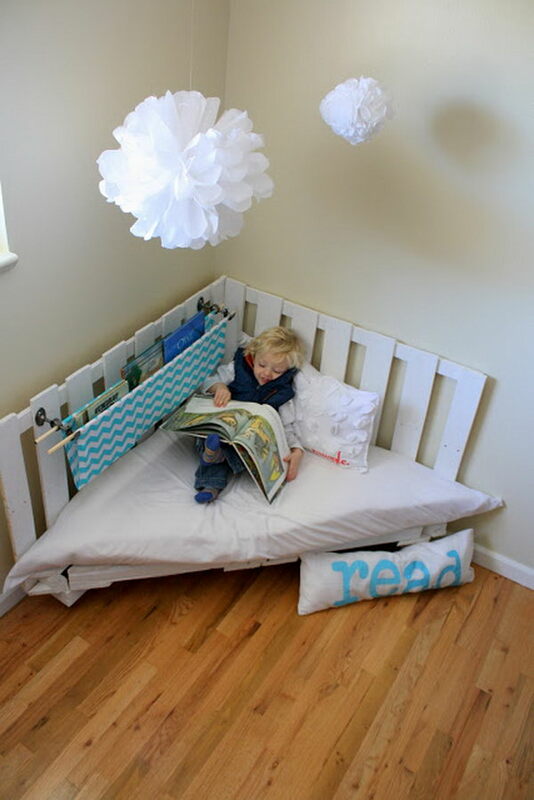 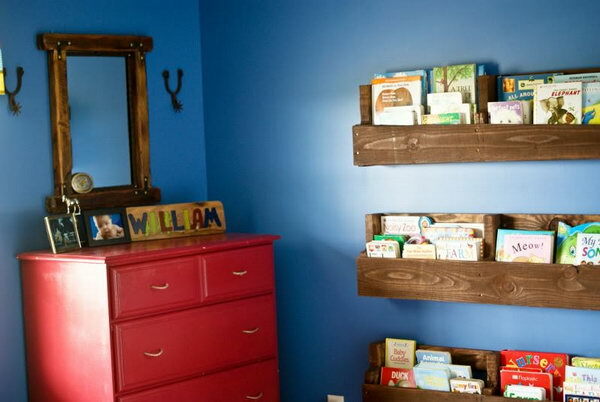 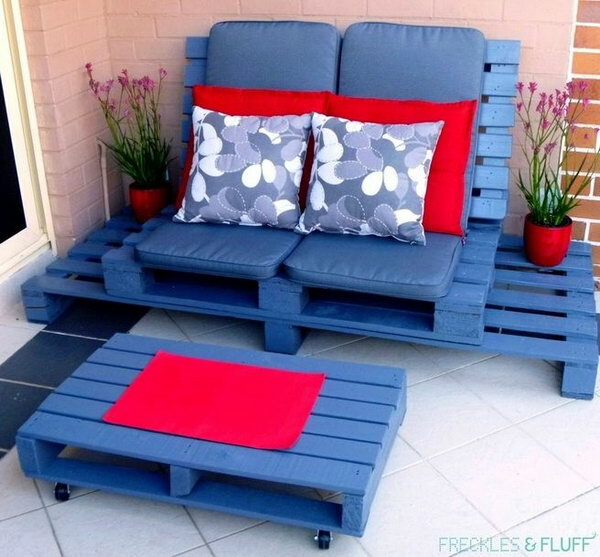 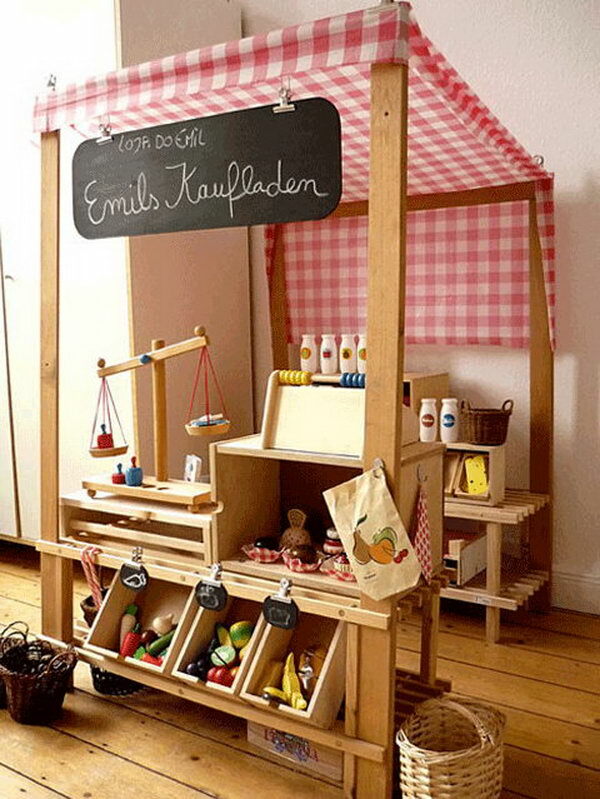 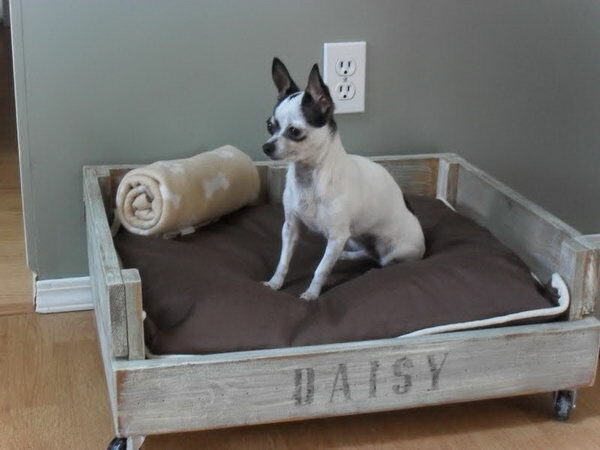 These different types of DIY furniture are all handmade with wood pallets and very easy to recreate. 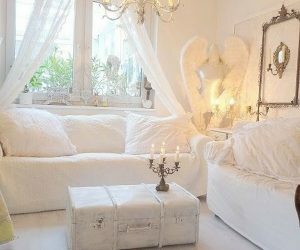 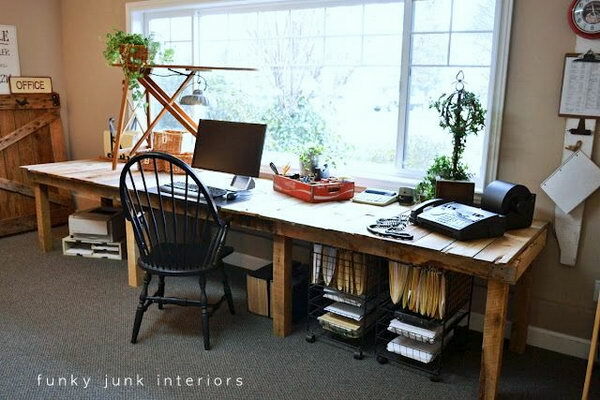 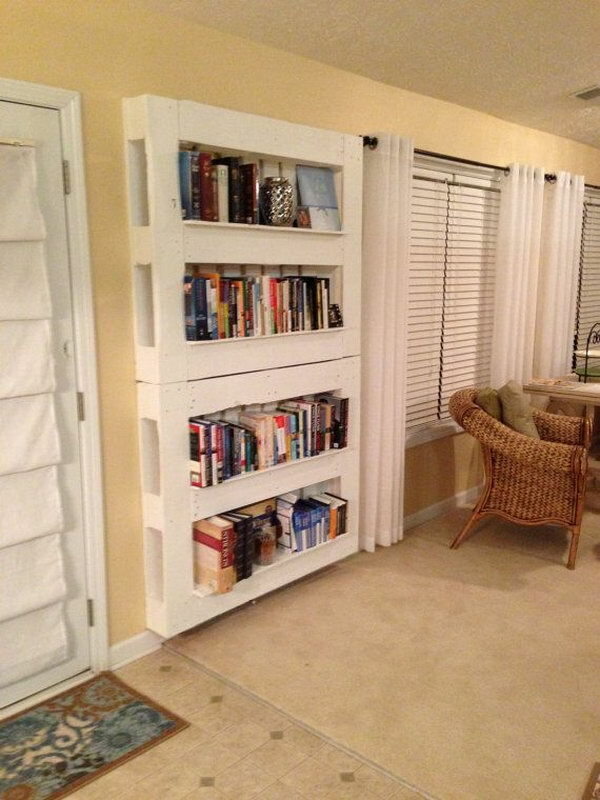 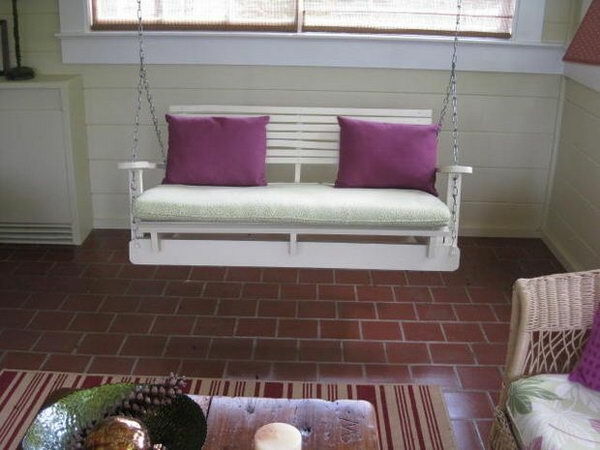 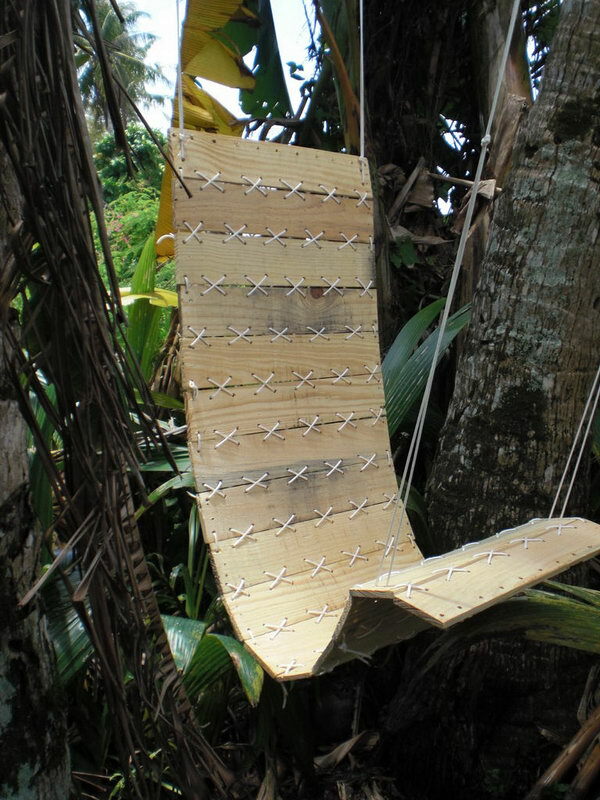 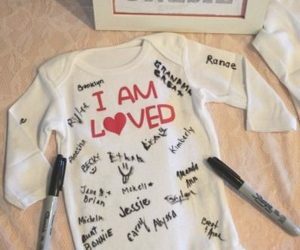 Take a look at the creative furniture ideas full of sentimental value. 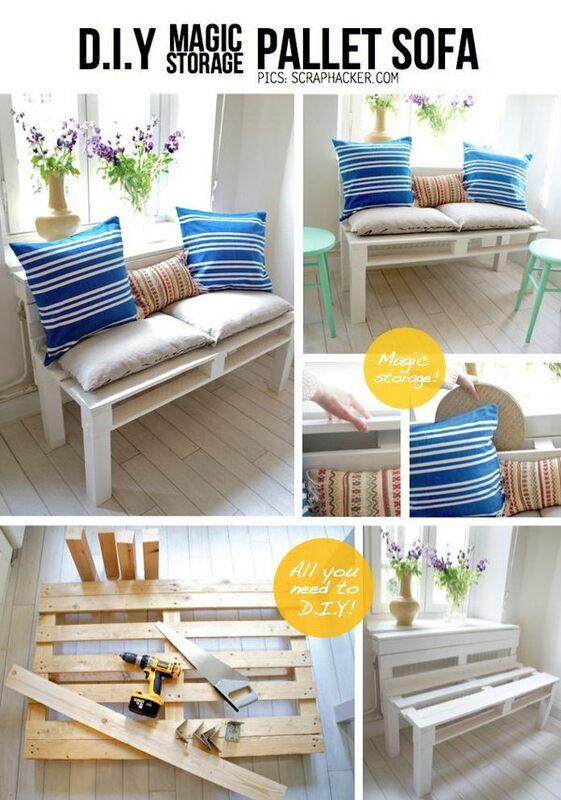 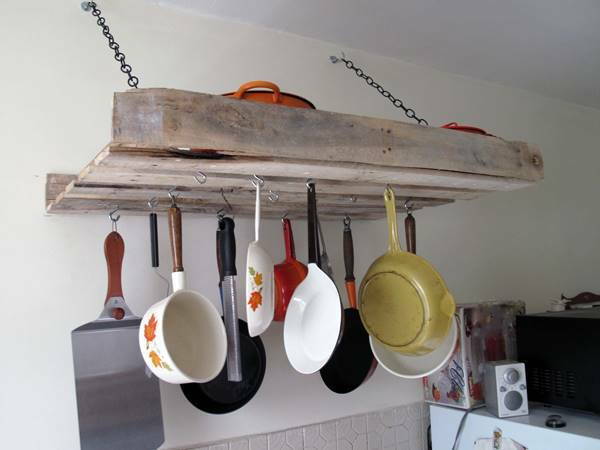 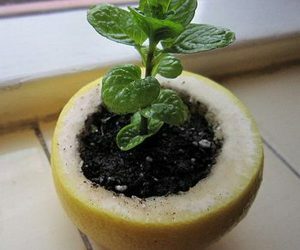 And start to make something special and individual for your home during your spare time. 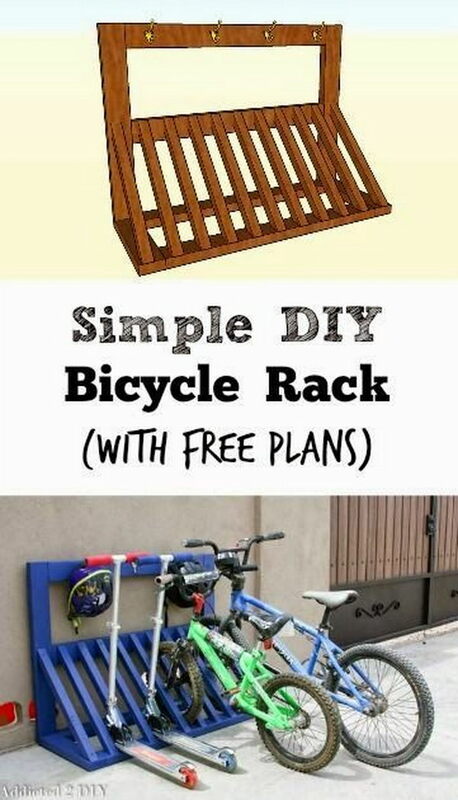 Get start now! 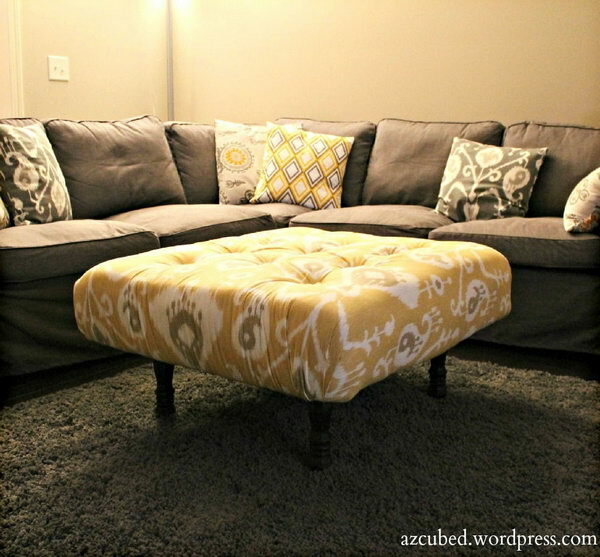 X Sofa Table Tutorial -perfect beginners project. 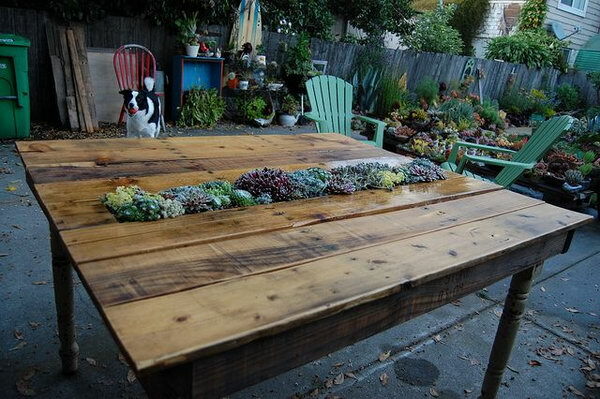 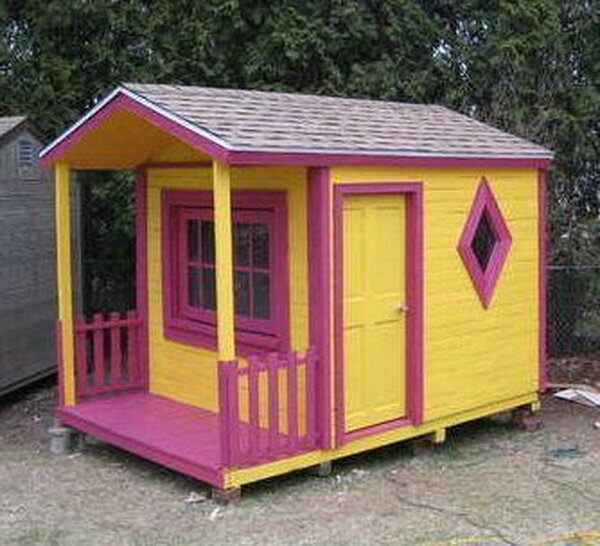 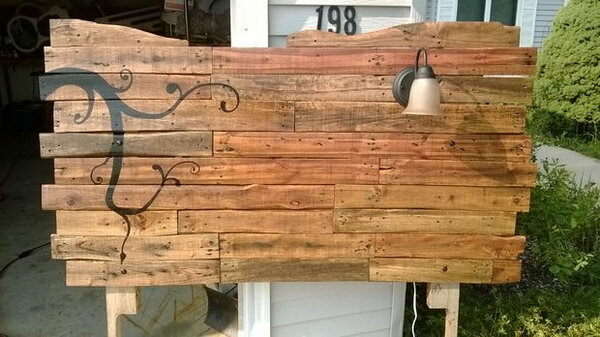 Only takes 5 boards, paint and some nails to create! 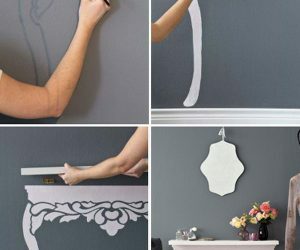 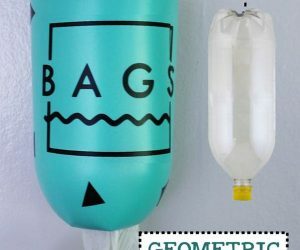 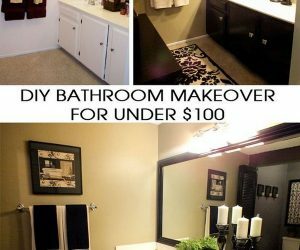 Tutorial via lizmarieblog.